Here are a few of the posts receiving the most attention in 2018. Notifying Participants of a Plan change (http://blog.ubabenefits.com/when-to-notify-participants-of-a-plan-change) Compliance is ever changing and important, so it’s not surprising a compliance recap took the number 1 spot in 2018. This post on when participants must be notified of a plan change from April 19 remains important to note as employers look to 2019. Your Voluntary Benefits Plan May Lead To A Tragic Result. (http://blog.ubabenefits.com/your-voluntary-benefits-plan-may-lead-to-a-tragic-result)This contribution from Mitchell Nelson, Executive Consultant at Secura Consultants shared insights on the lurking dangers of a voluntary benefits plan reached our top posts list quickly after being shared on December 6. Read one Strategic Partner’s insight into voluntary benefits plans. IRS Issues Updated Employers Tax Guide to Fringe Benefits (http://blog.ubabenefits.com/irs-issues-updated-employers-tax-guide-to-fringe-benefits-1)The IRS issued an updated employers tax guide to fringe benefits in 2018. Read more about the guide in this compliance recap from May 17. IRS Releases Draft Forms and Instructions for 2018 ACA Reporting (http://blog.ubabenefits.com/irs-releases-draft-forms-and-instructions-for-2018-aca-reporting) 2018 saw the release of draft forms and instructions for ACA reporting revealing that the IRS would not be extending “good faith compliance efforts” relief relating to reporting. Read more on this important change in a compliance recap from September 27. Redefining Retirement. (http://blog.ubabenefits.com/redefining-retirement) With the idea of retirement evolving as employees work to a later age, it’s important to change the conversation around retirement. Read about how you can talk to your employees about the future in this popular post from May 15. 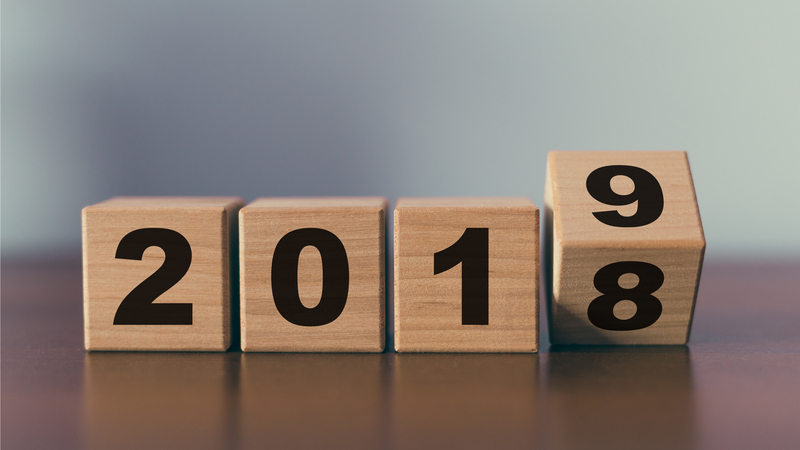 We hope these, and all the blog posts have been insightful and educational in 2018. Our resolution for 2018? To continue to bring you the latest in compliance and human resources in 2019. Interested in reading more about these topics? Search for any benefits related topic on the blog to get more information, insight, and analysis.